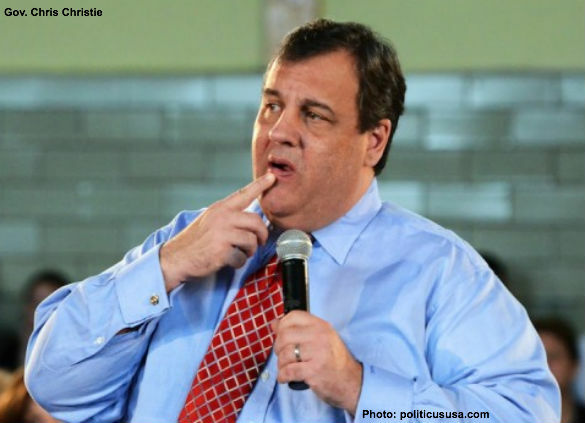 Home > Is It Time To Drop Chris Christie From Our Presidential Poll? New Jersey establishment Republican Governor Chris Christie’s involvement in the Big Government bullying associated with the monumental traffic jam created by the politically motivated closing of lanes on the George Washington Bridge at Fort Lee may or may not have damaged Christie’s prospects in the 2016 Republican primaries. Polls show little damage to Christie’s reputation in New Jersey – perhaps because Garden State voters already knew they were getting a Big Government bully when they reelected him by a record margin last November. Christie’s prospects nationally remain mixed. When “Bridge-Gate” broke establishment Republicans quickly demanded that conservatives close ranks behind the embattled establishment favorite. Conservative commentators, such as the staff of CHQ, pointed out that Christie’s behavior is all too reminiscent of the kind of bullying one might expect from Obama’s Attorney General Eric Holder or HHS Secretary Kathleen Sibelius, not a conservative whose view of government is one of constitutional limits on the personal power of public officials. Christie, while never number one in our CHQ 2016 Republican Presidential Straw Poll , has always been one of the top, if not the top, establishment Republican pick. However, with Christie’s reputation now seriously damaged by “Bridge-Gate” we here at CHQ are wondering if his problems haven’t cleared a path for another of the Republican establishment’s perennial favorites: former Florida Governor Jeb Bush. Please let us know what you think by voting in our daily debate poll  and by voting in this week’s CHQ 2016 Republican Presidential Straw Poll .